Whether you’re finding your first office, relocating to a new office, or expanding into additional space, choosing where to locate your start-up in London is a big decision as an entrepreneur. The capital is a diverse and vibrant city, where start-ups and established businesses from key sectors tend to cluster together and collaborate; from the tech hub of East London to the financial heart at its centre. But what factors should you take into account for your business? And how much should you be prepared to pay for office space? With insights from Startups 100-winning commercial property finders Making Moves London, in this guide we look at the average price of both leasehold properties and serviced offices in London’s major business centres. We also explore what’s on offer when you and your team want to celebrate a business win, meet clients or unwind. When considering how much leasehold space you need, a good rule of thumb is that one employee will need approximately 80 to 100 square feet (around two table tennis tables) – although this varies industry to industry. This is easier in serviced offices: one employee = one desk. You should also be prepared to take into account service charge, business rates, legal fees, removal costs and other costs. Although the whole of London has developed a reputation as a world leader in tech over the last few years, the area encompassing Shoreditch, Clerkenwell and Old Street is thought to be behind only San Francisco and New York for density of digital businesses. 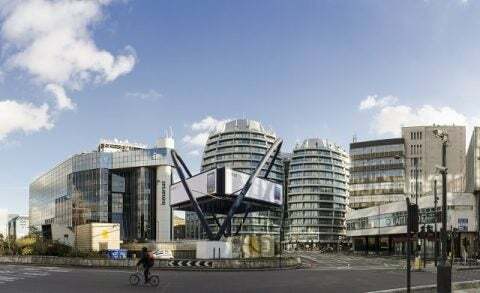 Tech City and Old Street’s Silicon Roundabout are home to everyone from small disruptors to some of the biggest companies in global tech including Facebook, Amazon, and Google. The area received a huge financial boost in 2010 after a visit from then prime minister David Cameron, who pledged support, infrastructure and up to £15m in funding to encourage the development of digital businesses. In 2018, the borough of Hackney and Tower Hamlets was selected to be one of the beneficiaries of a £50,000 grant from the mayor of London to become a ‘Creative Enterprise Zone’. Shoreditch is also a hotbed of trendy bars, from casual drinks at Bar Kick (as well as table football and sports) to places like XOYO where you can party until the next morning, as well as quirky dining experiences at the likes of ‘waterproof’ dining room Rascals. The Square Mile (actually 1.12 square miles) is London’s historic centre, encapsulating as it did the original Roman settlement. Now the Roman fortress has been replaced by the distinctive silhouettes of the Walkie Talkie and Cheesegrater building with the Square Mile now home to the Stock Exchange and the Bank of England. It is the city’s premier business and financial district. As such, it’s one of the pricier areas on our list and perhaps a better option for more established start-ups. The Ned, an old banking hall, has recently been given a new lease of life as a hotel, nine restaurants and a member’s club. There are also a number of gyms in the area, including 1 rebel, Virgin Active and Gymbox to keep you and your employees fit and healthy. The Barbican arts centre is a cultural hub so a great spot for when you want to take your mind off business. 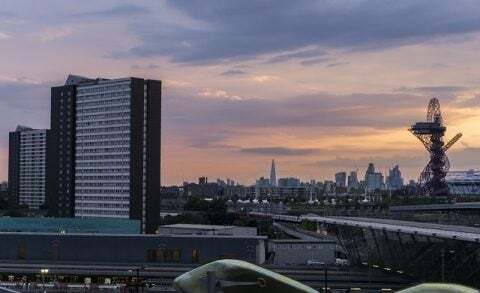 Thanks to the 2012 Olympics, the Stratford, Hackney Wick and Canary Wharf areas of East London have seen significant levels of investment in the past few years leading to a flurry of regeneration and growth. The Queen Elizabeth Olympic Park is now the home of Here East, a 1.2 million square feet centre of business, tech, media, education and data. As well as flexible working spaces, the canal side also features retailers, cafes and restaurants. Hackney Council hosts a quarterly forum for businesses in the local area to find out about the free local business support they can access. Being further out from the city centre, office rents are substantially lower than other areas, but there’s still plenty to offer including one of the largest shopping centres in Europe – Westfield – and plenty of open space and parks. Though its borders are debated, Midtown is widely agreed to encompass the areas of Bloomsbury, Holborn and Chancery Lane. Everyone from large corporates to smaller tech firms resides here. It has traditionally been the home of government bodies, lawyers, accountants and insurers, and recruiters, but the area is shaking off this image to attract smaller tech and media firms. WeWork has a number of locations in the area if you want to benefit from the collaborative opportunities of a co-workspace. The area will also get a significant boost from Crossrail with journey times from Tottenham Court Road to Heathrow set to take just 28 minutes. For leisure, social ping pong club Bounce is near to Chancery Lane tube and there are plenty of independent and chain bars and cafes. Camden, Islington, Kings Cross… there’s no shortage of office space in these areas which are gaining favour with exciting young tech firms including our very own Startups Towers! Rents range from some of the lowest in London to some of the highest around Kings Cross and there’s no shortage of co-workspaces. Camden was another borough chosen to receive a £50,000 grant from the mayor of London to become a ‘Creative Enterprise Zone’ in 2018. You won’t struggle to find things to do after work. 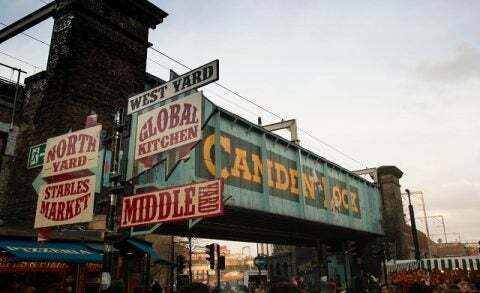 Camden has dozens of destination bars including The Blues Kitchen and the Simmons chain and Upper Street in Islington has a plethora of hip and happening restaurants. The recently redeveloped Granary Square has Caravan and the renowned Indian eatery Dishoom. 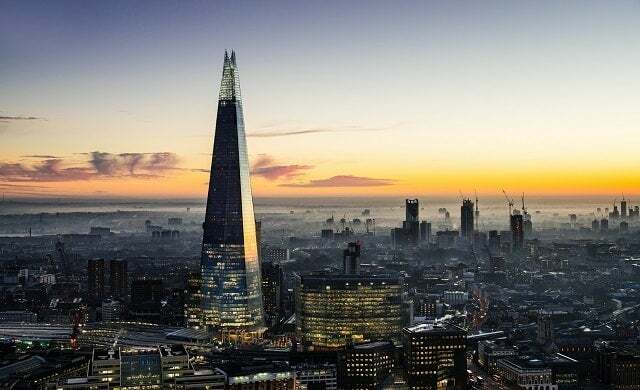 With the magnificent Shard dominating the skyline – the tallest building in Europe and occupied by some of the biggest brands in Europe – South London stretches from Waterloo to London Bridge, taking in Vauxhall and Southwark. South of the River is also the location of the Mayor’s office, a great champion of international business offering plenty of support for small companies with big export ambitions. The redevelopment of the iconic Battersea Power Station into a blend of innovative residential, cultural and retail space is sure to put SW8 on the map as an exciting place for businesses and consumers alike. Borough Market is located around London Bridge, offering one of the most vibrant dining and drinking scenes in the city for you and your team. The most expensive area in the capital for businesses to rent office space per square foot, the West End encompasses some of the most prestigious areas in London including Mayfair, Soho, Covent Garden, Marylebone and Victoria. Nevertheless, it’s a vibrant and diverse area for enterprise. Businesses that call the West End home range from the more formal and financial to the creative businesses in Soho, where many film/ video production companies and post production studios are located. You won’t be short for after work entertainment either. 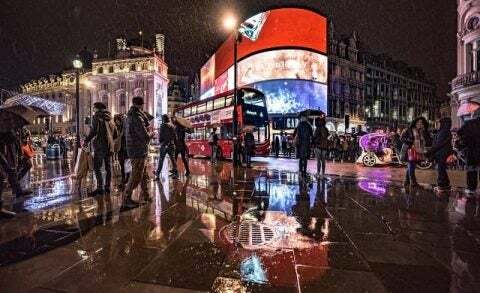 As well as an abundance of theatres, there are the cinemas of Leicester Square, the restaurants of China Town and plenty of bars in Soho for team drinks. Great for start-ups who need ready access to an airport (Heathrow is just 20 minutes from Paddington Station) and the city centre, West London is made up of some of the most desirable areas in the capital including Kensington and Notting Hill. Its proximity to Heathrow Airport has made West London somewhat of a global gateway for multinationals such as British Airways, Sky, and GSK and ambitious start-ups alike. Key sectors in the West London areas include transport, logistics, hospitality, IT, pharmaceuticals and financial services. Because of this, the area has a wealth of co-workspaces for small businesses including the Workspace Group and The Foundry for food start-ups. The area is also set to receive a further transport boost with the launch of Crossrail in 2018/19, which will speed up journeys from East to West and through Central London. Excited about your office move? Commercial property finders Making Moves London can help your source, negotiate and manage your move to the perfect new space. You can see its 2018 Market Rent Guide for London commercial property here.